I am going to his 40th birthday celebration, and I am so excited. I was at the Festival in September, and a GRAND time was had by all. Penny is one of my heroes. She will be at the Meadow this weekend along with Ron, Charlie, etc. I met him when he was standing at Claiborne and have never been the same. It is an exciting night. Just hope our Queen and Z13 will be well. After that, hoping for a gray Prinzess. It's still snowing here in Boone. Thank you Mr. & Mrs. Moss, Team Zenyatta, and Team Lane's End for keeping us involved. Thank you for acknowledging how much we love and care for Zenyatta. People have bucket lists of things they want to do in their lifetimes. Some folks check off items on their bucket lists only to add a few more. I'm one of those folks that add items to the bucket list. Two things I want to do in my lifetime is visit the Thoroughbred farms of Kentucky in conjunction with attending the Kentucky Derby. Another is to visit Assateague & Chincoteague Islands to watch the herding of the wild horses from one island to the other. But I live in Alaska! Something like an extended visit to Kentucky, Virginia, & Maryland has to be planned at least a year in advance. It's still snowing in Alaska or it was on Monday (13") and it was about 20° today. But the days are getting longer. Nice article remembering Big Red's Triple Crown run. A GREAT time was had by all at the 40th Birthday celebration at the Meadow. There were events last night, and Mrs. Chenery was still there when we left after 2200. Today, she arrived at noon in a horse-drawn carriage, and she signed items until the ceremony began at 1500. She is unbelievably strong, kind, and gracious. My favorite part was then we all watched "Secretariat" the movie with Penny and Team Secretariat. We cheered, booed, applauded, etc. I saw "Rocky Horror Picture Show" in the 1970's but last night was better!!! 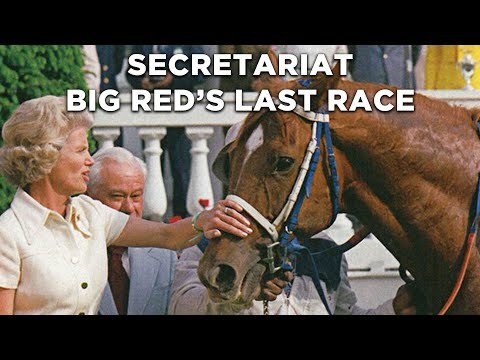 I don't think I will ever again have an opportunity to watch that movie with so many others from Secretariat nation. Happy Birthday beautiful boy!! Never to be forgotten! "No. 2 Secretariat did run in the Whitney. But he did not win it. That’s because 40 years ago, in one of the most famous upsets in the history of the sport, Onion won the Whitney, with Secretariat second as the 1-10 favorite." “Whitney Day was hot and humid,” Capps wrote, “and the track was still drying out from the previous day’s heavy rain. Although labeled fast, the track was deep enough that jockeys in earlier races were avoiding the rail. “Secretariat banged his head on the starting-gate door just before the race, never a good omen, then broke more slowly than usual, dropping back to fourth as the field headed into the first turn. Turcotte decided to save ground and slipped him to the inside rail. As they headed into the backstretch, they started to pick up horses, though in a more workmanlike manner than usual." 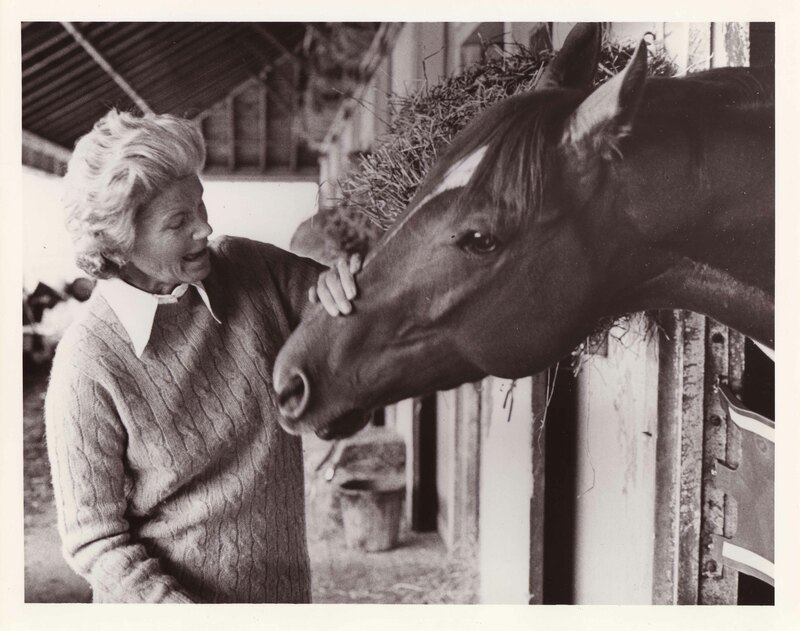 Excellent article with lots of good info on Secretariat. Does anyone know the fate of any of the following horses? Capito and Capital Asset received a lot of press as two-year olds. Didn’t hear much after that. Secretariat’s half-sisters were Cherryville, foaled in 1958, by Correspondent, Grand Coulee, foaled in 1964 by First Landing and of course his full sister The Bride, by Bold Ruler was foaled in 1969. Does anyone know if any of the above mares have any descendants racing? The Bride never raced, she was resigned to broodmare duties. I followed her pedigree forward and she may have a descendant (great, great, great, great granddaughter...LOL) filly racing as a two year old this year or maybe as a three year old in 2014. Follow the pedigree from the tail-female side. The Bride has dropped off the 5 generation pedigree. Interesting tidbit, though, is Stonestreet owns (or owned) Ravish Me. Thanks for doing the footwork...just goes to show how a broodmare line can disappear on the distaff side. Looks like Somethingroyal's tail-female side is fading away. Fidelity was sold in March 2013 for 1.1 million at the Fasig-Tipton Florida sale of 2-year olds in training. She's in training with Todd Pletcher, so Fidelity is possibly a filly from Somethingroyal's line that might race. Grand Coulee was in foal to Dr. Fager when she was sold at the 1975 Keeneland November Sale. She had a filly named Grandstand Win who also had a filly named Bird's Choice. Bird's Choice was claimed in 1999 and never raced again. Another filly of Grandstand Win is Rare Heat who last raced in 1996 and Great Gormet who last raced in 1990. Syrian Sea, Secretariat's full sister was sent over to Ireland. So far I haven't found any information about these fillies becoming broodmares, but I will post it here if I do. Update: Found out that Great Gormet had a filly named Gourmet Soup who never won a race. She ran 10 times. She last raced at Fort Erie in 2005. Doreen! You did your homework! I just love following and dissecting bloodlines, but it does require being a bit of Sherlock Holmes at times. So thank you again for doing all the legwork and sharing the facts. Someone looking for the Secretariat discussion? markinsac was, but I haven't seen him today. He'll be back. http://www.pedigreequery.com/progeny/syrian+sea shows that she did have several foals. There is also a picture of her. Must say she did not look a lot like Secretariat, at least from the photo. The Bride Dam of stakes winners At Ease (in Arg., G1-placed), Heavenly Match. Granddam of G1 winner Personal Business ($233,088). I never tire of seeing pictures or clips or watching his races. Today's handicappers would not even consider him to win the Derby, much less a chance to be a Triple Crown winner. That run around the turn is insane!!!!! Just look at him go! Rachel those vids are great. Big Red forever. Something tells me that California Chrome is going to be something special, too. Just a gut feeling, woman's intuition type of thing. Hope you are right...yes, very much hope you are right.